Market Sentiment Watch: On this 80th anniversary of the '29 crash there is cause for technical concern in the broad markets. While I don't recall the Fall of 1929, I vividly remember the second half of 2008 and I vow to not repeat that action again. FSLR – Added (1) FSLR November $165 call for $6 with the stock at 153.33 and earnings after the close. High risk from the standpoint that these guys have repeatedly been able to post strong results and then pull defeat from the jaws of victory by announcing something the Street didn’t care for during the conference call. I’m looking for further production growth and further advances in cost per watt and flat to down margins (expected). Crude oil fell $2.09 to close at $77.46 yesterday. The weakness was more a function of the dollar and the equity index sell off and less a function of the mixed bag of data EIA reported (see comments 2 sections down). This morning crude is trading up 60+ cents. Natural gas fell with crude, ending the day off $0.22 at $5.07 on the December contract which takes over as the front month contract today. This morning gas is trading off nearly a dime in front of the storage numbers. Street Consensus: 27 Bcf and has been falling all week as the pipe flow modeling guys contribute falling numbers to the mix. 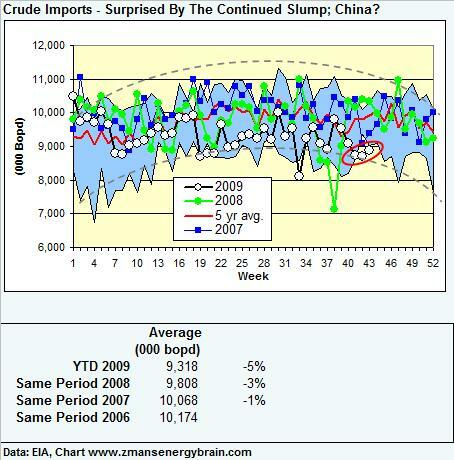 ZComment: Crude imports remained low for a third week; not sure of the reason for this as rising prices would generally promote increased imports. 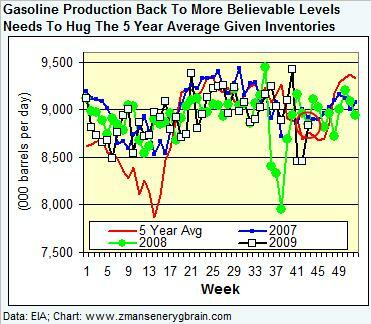 Crude is building on a season basis due to low refinery utilization and I expect that to continue for the next several weeks. Distillate demand is picking up seasonally and this is helping to reduce the record inventory levels but we will still need to see a consistantly cold winter to eradicate the surplus before Spring. Revenue of $269.3 vs $239 mm expected. 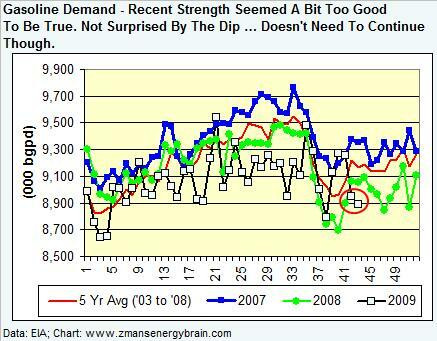 2009 goes from a range of 10 to 12% YoY growth to a range of 14 to 16% YoY growth. now 20 to 20.3 MMBOE ... so you can see they upped number more than enough to account for this past quarter's beat. 2010 - as is standard for them, we'll have to wait for next year's guidance until a later call. WLL paid down $70 mm of bank debt during the quarter out of free cash flow. 25.2 debt to cap vs 27% last of last quarter. They have $150 mm outstanding on their bank line leaving them with $950 mm of liquidity. They upped their budget by $30mm to $470mm for the year, well within cash flow and it sounds like they plan on staying that way. Kannnianen 11-5H, IP of 1,998 BOEpd from the Bakken, in the center of Sanish Field. Notably, this is roughly in line with the average WLL Bakken IP. Ogden 11-3TFH - third Three Forks Sanish test, 24 stage sliding sleeves, about to frac. Rig count there just here from 5 to 6 rigs and will go to 9 rigs by early 2010. Completed well costs sound like they are now coming in at about $5 mm, down from a recent range of $5 to $5.5 mm. Pipeline Update: The 65,000 bopd pipeline they had previously mentioned as under construction appears be complete with an in service date some time this quarter. Should help with costs and differentials. No rigs, just non-operated working interests. 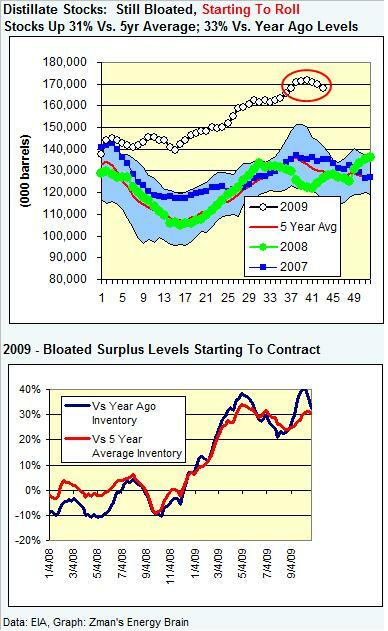 September 2009 saw average production of 9,000 BOEpd, a 33 year high for the field. 6,415 net BOEpd in 3Q (12% of production). Lewis & Clark Prospect: Second well at TD, not yet fraced (first well was completed in the Three Forks for 1,000 BOEpd). Expect to hear more questions on the call on this one. Note that most of the activity we normally focus on is to the north in Montrail, Dunn, McKensie counties. There are numerous existing vertical wellbores in this area that can be re-entered to save costs (casing exit opportunities). This shaves about 20% off the completed well cost. Nutshell: The only things missing were a positive test in the Three Forks from the Lewis & Clark area and 2010 guidance, neither of which were expected. Market willing this probably goes higher as estimates will be coming up again for both 2009 and 2010 and the stock remains one of the cheapest names (4.5x 2010 CFPS) estimate of $12.56) levered to ramping Bakken production. This note along with the notes from the conference call will be archived on the Reports Tab. 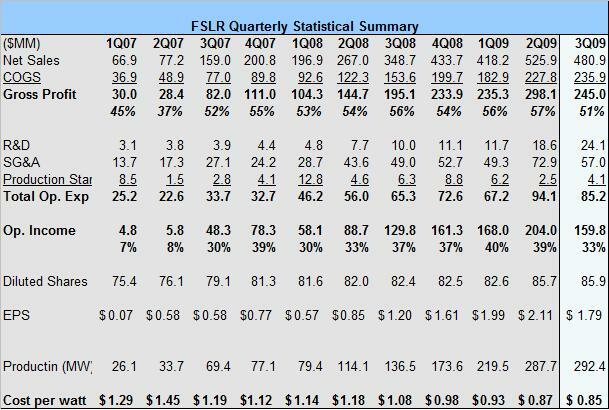 FSLR Reports A Small Beat; Boosts Revenue Guidance But Whacks Expected Margins. The revenue "miss" was caused by revenue recognition accounting with FSLR unable to recognize $58 mm in revenues due to a contract that was signed after the close of the quarter. Gross Profit of 50.9% vs last quarter’s 57% - mostly due to more competitive environment, mix, and exchange rate. Operating Margins of 33.9% vs 39% last quarter. This had been previously forecast but still seems to have taken the Street by surprise. Cost per watt of $0.85 vs $0.87 last quarter, another new low. Was: $1.9 to $2.0 B 0 everything stays the same. 4Q Expectation: 23 to 25% due to largely to a change in product mix and weak pricing there. as does their margin expectation for the quarter of 31 and 33% margin. This implies a steep slide in margins in the back half of the year. Nutshell: The stock fell on the revenue "miss" but stayed low after that was explained away due to the weak margin guidance. I'll watch it for a few days and sell into any strength next week. This entry was posted on Thursday, October 29th, 2009 at 7:36 am	and is filed under Uncategorized. You can follow any responses to this entry through the RSS 2.0 feed. You can leave a response, or trackback from your own site. WLL – RBC takes target from $63 to $68. I think BOP is out today. BEXP coat tailing that WLL well as they have not too distant offsets to that acreage. any thoughts on PQ upgrade Z? Isle – Don’t know their reasoning other than the stock got whacked yesterday and they missed the initial run up. 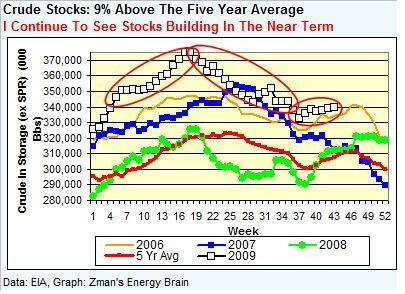 Stock probably trends with the group, don’t see a bunch of catalysts to drive it up, other than higher gas prices. ATPG – Comment coming out of the Energy-Prospectus Group luncheon yesterday. Things are seeming a bit contrived. For months we’ve been anticipating GDP growth of 3.5% and, VOILA, it comes in at 3.5%. I’m trying not to let my abject mistrust of this administration cloud my judgment so as not to affect my long term investing strategy. MHR – Odds and ends, another step in the Gary evans journey. Co announced this morning it has entered into a definitive agreement with an Appalachian Basin energy company to purchase substantially all of Triad’s oil and gas exploration and production operating assets. Additionally, as part of the transaction, 100% of Triad’s ownership interests in certain oilfield service related drilling, pipeline and salt water disposal assets are being acquired. The acquisition of Triad by Magnum Hunter will occur upon the effectiveness of Triad’s reorganization plan under Chapter 11 of the United States Bankruptcy Code. Under Triad’s proposed plan of reorganization, the assets of Triad along with certain affiliates would be acquired by a wholly-owned subsidiary of Magnum Hunter. Magnum Hunter has agreed to pay cash, issue securities and assume or refinance Triad’s outstanding debt obligations in the aggregate of approximately $81 million. The $81 million total purchase price is broken out in components of (i) the assumption and refinancing of approximately $58 million of senior debt owed to secured lenders, (ii) issuance to Triad or its designees $15 million in Redeemable Convertible Preferred Stock with a 2.75% fixed coupon payable quarterly and (iii) up to $8 million in cash. Re SLB – Holding, not adding now, will re evaluate next week. Price action there will be tied to the S&P. Picked up some ATPG common on this recent pull back almost to the recent lows after the secondary. May be a little early here. Time will tell. Interested in NFX at a price Z? Big move in SWN pre-earnings tonight. Any thoughts there? I own calls and common there now. I’m not considering adding this week. Do I like this little bounce in the markets today? Yes. Do I have confidence in it? No. I want the market to put together more than a small morning pop on a GDP number before I go further into my cash position. Baylor – I own calls there and common there as well. I have enough as I was adding for earnings as everything was falling about last week and early this week. I’ll be adding a SWN Pre Call piece to the post around noon. Mark Sellers and Bill Miller write about optionality in the E&P names. In other words when you buy a stock, you are getting an free option that is not being priced in the stock. ATPG is a perfect example of that idea. They are bring this field on line. It is not a secret. But you watch. When they finally mention a big production increase, the stock will jump. Same idea with WLL. Everyone knows they are drilling in the Bakkans and are getting big wells. Then when they announce more Bakkan succes, it seems to take the market by surprise. CHK is also back to it old break out level of 25, for those technically inclined. Bsj – re 20. I see the world somewhat differently. I’ll have a comment on that in a few minutes. 25 Bcf injection vs Street at 27 Bcf injection. Gas just before report: Flat at $5.06. * up 12.4% from 5 yr avg. Gas now down 8 cents and sliding. Stocks not really paying much attention to anything but the S&P. WLL call in 30 minutes. Stocks not really paying much attention to anything but the S&P — well Z that is an improvement. Last couple of days the energy names have had a negative disconnect with the S&P. NG gone positive; didn’t get the sell-off on better numbers than expected? WLL is a key stock to watch. It is rising on good news. Now this is am improvement over the last few days where good news (WLT, NFX, etc) has lead to large declines. Is WLL going to follow PXD and be a one day wonder, only to collapse the next day? Or will get signal maybe the trend is changing and good news will extend over a couple of weeks? BSJ – agreed re that relationship. WLL call in 5 minutes. WLL – wow, still reading, nothing new. Below is a ranking of Oil and Gas stocks based on year-to-date performance. The ranking shows 244 of 288 stocks in this sector posted positive performance in 2009 year-to-date. For my money, WLL gives one of the most boring, mind numbing conf calls. Hey folks, we can read a press release. They’ve moved onto the slides where they do a much better job of presenting. Still listening, not giving much in the way of extra detail with the slides over what they’ve presented before. Good primer on the company if you have not heard it before. Dollar rolling over pretty good today. Look ma, GDP up 3.5%!!! Now what? (Pause, um, hmmm). Time to restimulate. Z- what are you expecting out of SWN tonight? WLL – on slide 37 of 55. Then Q&A. Nothing new so far other than an updated NAV in the $80s (no one will care about that). Q&A – should see Lewis & Clarke prospect area questions. Isle – good things. On WLL call now. * Probably a CFPS beat along with better than guidance production. * Some higher IPs in the Fayetteville, especially after CHK’s comments on the southern side of the play 2 weeks ago. * Should have news on a 3rd well in E. Texas. Last two were impressive, especially for 1st shots in the play. * Marcellus? Probably not, they have kept pretty quiet there. ok great……..thanks very much Z! Wells Fargo – EOR Question? Have you accelerated those in terms of timing or are you expecting higher recovery now? Bit of both. Encouraged by the response. That’s positive. Growth rate for 2010…double digit growth? Don’t want to give guidance yet … if we were to see the continuation of the level of cash flow they saw in the 3Q then they could have a “very marked increase, perhaps 70 to 80% or so”. The preceding sentence is HUGE. Thinking discretionary cash flow could be something in the $800 mm range, vs the $470 they are expending this year … sounds like he’s hinting about a doubling of capex next year. They want to pass on that they are more optimistic about the Sanish Field, including the Three Forks. They have 52 producers there now, thinking they could have 300 in total (so only 20% done). Plug and perf vs sliding sleeves. On the PnP, they need a lot more equipment. PnP taking 3 to 5 days. They think they get the 18 stage sliding sleeve off in 18 hours. Lewis & Clark – Analyst asked for commentary on economics there. CEO came back with a loud “watch the results of the next well (this is the one that should be done mid November), it made a believer out of me”. That’s one of those Wow comments. Lewis and Clark comment from CEO – “watch the results of the next well (this is the one that should be done mid November), it made a believer out of me”. 4.5 ” liner in this latest L&C well vs 2.875″ liner in the original L&C well that IP’d at 1,000 bopd. WLL – Analysts are pretty pleased with the quarter and the ops update. Call should wind down soon. Oil knocking on $80, dollar continues to weaken, S&P continues to strengthen. Z, if WLL follows through on these gains, and that is a big if, do you think this latest news will filter down to the other Bakkan E&P’s? WLL @ 59.75 at end of call. BSJ – I think it already has to some extent, as you have BEXP that has some acreage offsetting these Sanish wells and that name is up 9%. If it runs I would expect CLR to move up less but still up into their conference call. The L&C stuff should not impact the other guys as that is pretty specific to WLL. CLR was the one I had in mind. It still seems to be stuck in the mud. Plus EOG is not really burning up the track lately either. CLR is kind of pricey and not drilling wells of this caliber. Good stock, big Bakken position, just well priced. EOG has run and then some, likely to buy it back after earnings are released. Wow WLT. Looks like it put in a higher low to me. Still holding my small call position there. Wondering out loud– Do we get a big pop as we get closer to the turn on date like atpg did. z – i listened to the WLL call also, and if their production rises 70-80%, w/o market factors, what would u expect stk to rise? that number seemed huge to me also!! also, is the l&c well now being drilled far enough along to justify CEO’s comment “watch the resullts of the next one”. first part of call might have been boring, but q&a’s not. Bill, those kinds of stocks can drive you crazy. The “what am I missing” sort of things. All I can say, is that if you think your thinking and facts are right about the stock, then forget Mr Market. This is alot easier said than done. Kyle – that’s 70 to 80% jump in cash flow yielding significant double digits growth in volumes. Re L&C – I’m sure he has brightly fluorescencing cores at this point. I’m sure for him to say that they had shows while drilling. It may or may not turn out to be a big Kahuna producer as they can still botch the completion but you don’t make statements like that without a handle on the presence of hydrocarbons. Also, they have a little well control there in the form of a bunch of verticals. So in the first two wells you were in inhibited by the mechanics of the well, one was a short lateral on a grass roots horizontal well. The other was a slim casing on the horizontal punched out of a vertical well. This well is also a casing exit but has no such constraints (fat, long straw). Feels like everyone is sitting on their hands today. Market up but only drifting back to opening levels yesterday. Most names, even ones with good news, not offsetting their drops yesterday. 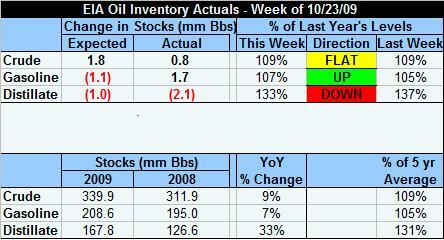 Of all things, oil is outperforming it’s loss from yesterday and is leading products. Very odd that it should be leading heating oil, not so that is should be leading gasoline. bill – SD looks like one of Mr Market’s opportunities here. EIA bumped their gas supply report back a day to tomorrow. Group not tracking S&P higher. Hmmm. Need to hit the reset button on this market in the morning. We get consumer spending and consumer sentiment tomorrow. The last read I have on estimates for sentiment is 70.5, vs last month 69.4. I hope the egg heads have brought that number down some or we are setting up for a disappointment. sd- 1 week ago it was over 14, today after a rally its 11.20. Researching, last 2 earnings calls, the stock pop’d on day of announcement. 6 months ago in a poor market it was higher than todays price. i think you are right, dman.. i added more today. WFT article just highlights the headline risk you have and why the thing is so much cheaper than SLB/HAL/BHI. The truth is these contracts were never set to be renewed in and of themselves, but PEMEX is still going to be tendering for a 500 well contract in 2010 and WFT has the dominant share in the region. z-I think you addressed this previously but I cannot find it-NFX has been weak recently but is rallying today-do you have a view as performance out the next 1-2 quarters? Addl to 75… I think this is all just a negotiating tactic, but we’ll see. I was speaking with some people at PEMEX a few weeks ago on a call that RBC hosted and the internal guys were pretty adamant that development in the region would continue. Choices re NFX good question. Short answer would be whatever the group does plus 10 to 15% 6 months out. Ballpark range obviously but I think it outperforms the group. 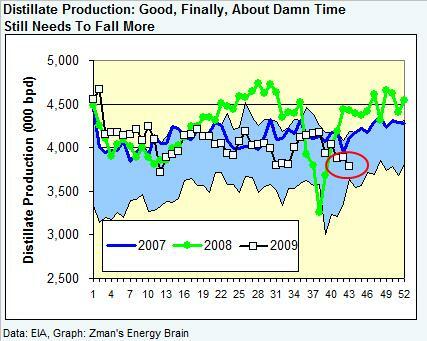 1) they will get to put up some some solid growth in 2010, that will have 4 deepwater Gulf of Mexico start ups in it. Analysts like lumpy chunks of production to model. 2) They have a lot of Bakken acreage but haven’t really gotten their Bakken day in the sun yet so to speak. They participated in one of the biggest TFS wells to date and have offsets all around that well. 4) Woodford – moving even more to pad and super extended wells, should get data on these next call. 5) Granite Wash – another set of 5 to 7 big kahuna producers to announce around year end. Hear ya Jat, lots of stops and starts down there. One minute Chicontepec is a go, the next minute maybe not. I wonder at the gamesmanship being played and the impact on WFT corporate margins as I seem to recall they have been low bidder often to stay busy. But I’m just talking off my head and you know that story a lot better than I do. Adding to 78. And now they have the Marcellus angle. Anyone have technical levels on the S&P? Nicky is out of pocket. BTW – Nicky was right about some trouble in 2nd half of October. Dman – no lie there. Dollar getting hammered. If they can call a 0.2% rally in the dollar a spike, I can call a 0.9% drop “hammered”. Bob Pisani making interesting comment about the dollar carry being back on and managers selling dollars to fund this rally today. Of course the dollar carry trade is back on. People are mistaking the carry trade as being a short-term thing. It’s 100% not. It’s meant for long-term yielding positions so you can capture a differential. 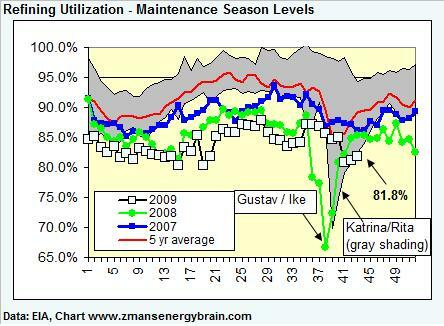 Utilization down there is a big issue on margins and it’s why Q3 was a disaster. Not because of work cancellations, but because flooding prevented work from being done. WFT has about a million times more assets in the region than HAL/SLB, which is why the latter two were relatively unaffected in Q3. To give you a flavor, corporate margins declined from 9.2% to 7.2% Q2 to Q3. Latin American margins declined 800bps from 18% to 10%, but with the weather stuff normalizing should get back to mid teens soon enough. There are safer names like SLB if you just want to play a rising OIH but you probably get paid more in WFT if things turn around, i.e. they execute next quarter and PEMEX doesn’t kick them out of the country and do a hat dance over the flaming pile of their WFT rigs. In that vein, you had the Sterne Agee analyst turn positive on them this morning, even though he’s been a pretty big bear on the stock for some time in any conversation. V – I only bring it up as interesting because I do believe the talking heads had declared the carry trade dead as recently as, oh, um, yesterday. My dog has better short term memory than these guys. Reef – Are they saying that’s TD or did they give a clue as feasible TD? Any update on BB Hill? z – 88 good or bad??? Thanks for breaking MMRs radio silence Reef. Much appreciated! Not td, just logging on a bit trip. GR not working on MWD, mudlog shows sand. No BB hill info. Reef – Thanks. Any idea height of column? Biden’s economic policy adviser saying 1 mm jobs created or saved. Apparently we get a new read on that “number” tomorrow. no e logs, so not known. Maybe 50′ so far. Could not get tools down. So he’s going to drill until he can’t anymore? Has any other administration tried to tout a number of jobs “saved”? Baylor – that’s the beauty of it, it’s not official and to my knowledge there has been no purported definition / calculation. Bill – progress report, tough drilling environment, sand is positive but it basically just tells you they are having trouble figuring out what they’ve got. It’s a scientific method of estimating jobs saved. What do u mean by that Z? We have no well control issues..
18.5 ppg mud is getting toward the top end of a mud density. You can get the shoe test of 19# by using water nad then applying a hydraulic pressure with a pump at the surface, the water column + the surface pressure then divide that by the depth will give you psi/ft. Multiply that by 0.052 and it will give you a #/gal (19# in this case). So, there is only 0.5 ppg if wiggle room of a mud system that is getting close to pumping dirt, if they pick up too much cuttings over 1,000’s of feet means they are toast. The excess pressure could possibly part pipe or frac the rock at the shoe open. That said, I don’t have all the information so I could be sticking my keyboard in my mouth. Any comments on swn’s earnings? Re SWN – I’ll have it out with the morning post. The guy in the next booth to us at the LAGCOE show this week had a really neat invention. A simple adaptation to the mixing vat/nozzle configuration that prevents air entrainment while mixing mud. If I understand correctly, the status quo is adding barite to increase mud weight while at the same time the $ spent on barite are partially going to waste on counteracting the effects of entrained air. Anyhow, the data he had was showing a 30% savings on barite used. I told him he ought to be shouting “1/2 day payout” from the top of his lungs instead of burying the data. Common problem with inventors being shy about explaining their inventions – getting too granular. I didn’t have that problem : ) Told the STORY and got lucky because the presenter ahead of me was B O R I N G !!! — this is the nut…. this is the bolt that the nut goes on… this is the pin that holds the nut if it falls… all of this to hold subs in a basket! WY thanks for the explanation to Jay’s question; lots of us (me) did not know what that meant.